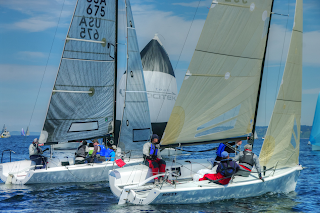 Our first Melges 24 event of the year was PSSR. We managed to get in a few hours of practice on Friday afternoon, followed by two days of intense sailing. The Melges 24 fleet is always a tough fleet -- the boats are nearly identical (although of different vintages) and all the competitors are athletic. It also attracts the younger crowd as these can be exciting boats when the breeze in on! 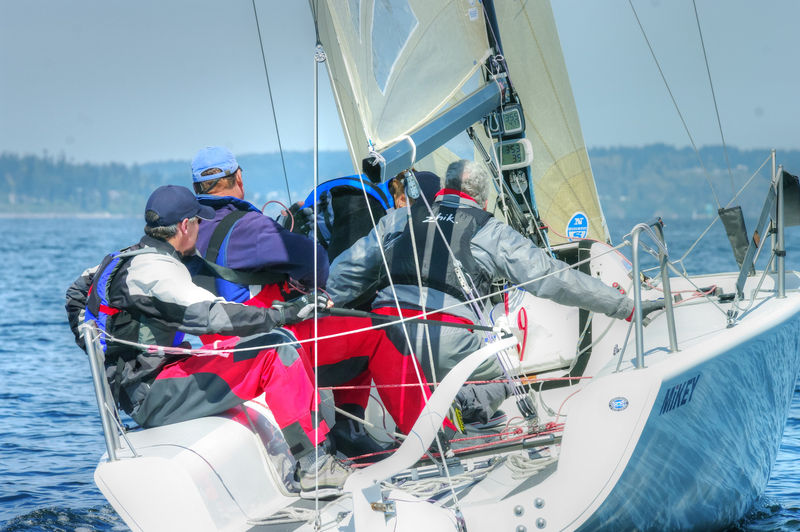 On the first day the winds were light but the race committee managed to get off 9 (yes you read that right), nine races. We started out pretty well, but unfortunately finished off the last race well back in the pack after making some very bad tactical decisions. We did however manage to finish the first day in the top three, but the lead boat was many points ahead (especially considering that there were no throw outs). On the second day the winds were also light so we waited around for a while for the breeze to build. Eventually it came and we started 5 races that day. Our performance was quite a bit better for some unknown reason -- we had some great races with excellent mark roundings, good hoists and excellent drops.